September was another tough month for Central Florida’s SunRail. The numbers do not lie, there’s definitely an ongoing problem with low ridership. However, officials are still optimistic about increasing the number of people using the commuter train. According to the SunRail conductor’s report, September’s ridership dropped significantly to an average of only 3,200 total boardings a day, or only 1,600 round-trip commuters. The ridership numbers were close to the low levels from September one year ago. For the last several months, SunRail ridership had been stalled around an average of 3,600 total boardings per day, or about 1,800 round-trip commuters, but in July the train had about 3,900 daily boardings. September showed a sharp decrease in boardings. The ridership issue was addressed at SunRail’s October 7th Technical Advisory Committee meeting. According to Florida Department of Transportation officials, there are some signs of growth for the commuter train and not much concern about the most recent ridership numbers. After 18 months of service, ridership numbers are not necessarily increasing month-to-month, but officials remain optimistic that the ridership is increasing in certain areas. 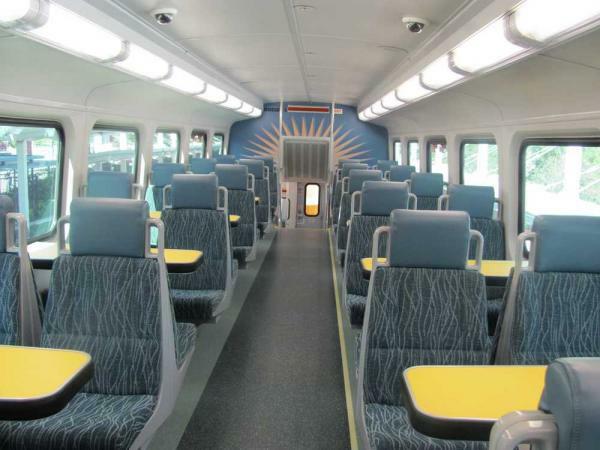 SunRail also sees more potential is reaching out to the community and convincing more commuters to give up their cars for a seat on the train. “We continue to work with the business community to encourage additional riders, and a new round of advertising recently began on the I-4 corridor,” Keane added. SunRail was expected to reach at least an average of 4,300 boardings per day in its first year of service, which ended in April 2015. The commuter train still has not hit the initial ridership benchmarks. During SunRail’s first year of service, the daily ridership average was almost 3,700, about 600 short of the 4,300 passenger goal. SunRail broke an average of 4,000 boardings per day in the month of March, which included several special events drawing more riders. While September’s ridership numbers were disappointing, SunRail officials are hoping October brings more riders to Orlando’s commuter train. Last October, SunRail’s ridership numbers were averaging 3,200 daily boardings, right where the ridership numbers were last month.